Wild, hungry trout take advantage of the river’s prolific hatches of mayflies, caddis flies, and even stoneflies. 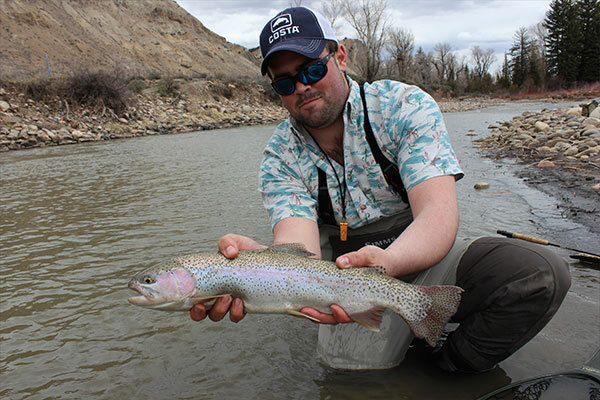 This gorgeous river also offers good public access and boasts a great population of wild rainbow and brown trout that average 14-16 inches but can get over 20! 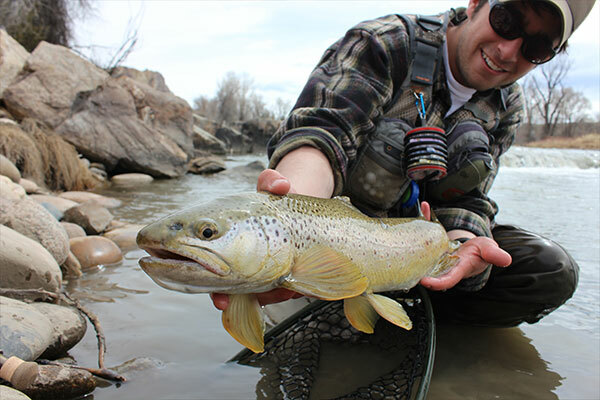 Let one of our professional guides show you one of the best rivers in the state! The Eagle River starts it’s journey near the Continental Divide as a small, snow fed creek. It gains volume as it flows West over 60 miles before it dumps into the Colorado River near the town of Dotsero. The Eagle is considered a “Freestone” river which means it does not have any dams or reservoirs along it (think “free flowing”). The Eagle River from when Gore Creek joins it in the town of Vail, all the way to the confluence with the mighty Colorado River is considered Gold Medal water. USGS 09070000 – EAGLE RIVER BELOW GYPSUM, CO.